Manufacturers are committing heavy R&D spend to printheads to improve the quality of output from their machines. Rob Fletcher takes a closer look at this technology to find out more about how some of the industry’s leading brands are continuing to evolve printheads. Simply put, printheads are one of the most important parts of a printer. You can invest heavily in materials and inks, but if the printheads on your machine are not up to scratch, the chances are that the final output will suffer. This statement rings true when we consider how much funding manufacturers are committing to printhead development. Digital print usage continues to grow at an alarming rate and manufacturers are under pressure to come up with new technologies that help print service providers (PSPs) stand out from the crowd. Here, we speak with some of the industry’s leading brands to find out where they stand on printheads and how they are going about improving and evolving this technology for the benefit of the wider industry. Epson is one of the leading names in digital print, driving development in this market. Paul Restarick, pre-sales technical specialist at Epson UK, said the company commits a lot of time to printheads, billing them as one of the key parts of the printer. Epson uses Piezo technology in all of its printheads. According to Restarick, this technology generates little to no heat, thus extending the life of the product so they do not become a consumable item. Piezo technology also has the advantage that as little to no heat is produced, they are capable of utilising different ink sets that can be affected by a thermal process like dye sub, UV and direct-to-garment. “By having the ability to design and manufacturer such an important aspect of the printer as the print head, we are able to ensure that the printhead is suitable for the application it is required for instead of having to purchase a third-party product,” Restarick said. Epson also owns three technologies used in the assembly and manufacture of our printheads: thin-film piezo, MEMS and ultra-precision assembly. Restarick said the three technologies guarantees these printheads cannot be replicate. “All Epson printhead manufacturing is carried out in our own factories in Japan, and all assembled by Epson robots using a technology called MEMS,” he said. “By utilising robots in assembly, we are able reduce the amount of people in the manufacturing area, and as people are the source of particles, particulation is negligible. Another leading name committed to printhead evolution is HP. The company has a number of different printheads in place across its large-format printer range, along with Original HP ink designs. Thom Brown, large-format supplies acceleration manager at HP, agrees with Restarick at Epson that printheads are key to final output: “An A1 poster can contain up to 1.1 billion drops of ink. Along with ink, your device’s printhead is one of the most vital components of your print system. “Not only is it responsible for generating microscopic drops of ink and moving those drops to the page, it is responsible for your printer’s speed, reliability, and print quality —ultimately your overall print experience. In terms of new innovations, HP is not short of news. In the past year, the firm has launched its high definition nozzle architecture (HDNA), which means that its printheads now have twice the amount of nozzles as before within the same space, reaching now a true 2,400 nozzles per inch definition. Another innovation from HP is dual drop weight, which means its printheads are able to deliver multiple sizes of ink drops. Brown said this is similar to when painting a room you would use a large paint brush and small paint brush, an image can also benefit with different size ink drops. The large drops manage uniform area fills and fast print modes, while the small drops reduce image grain. In addition, the new HP Latex R-series offers printhead innovation with a new non-circular nozzle design providing improved ink drop control, which Brown said means better image quality due to consistent drop shape and directionality. Graham Kennedy, head of commercial inkjet business, production printing at Ricoh Europe, also weighs in, setting out industrial grade printheads as an “essential component in maintaining system uptime”. 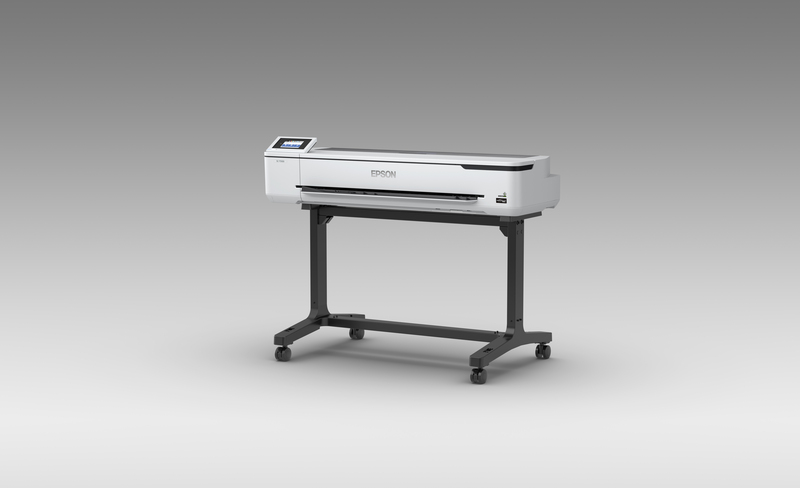 Ricoh offers a wide range of printheads, each designed for certain types of print machine. They each differ in speed, drop size and native resolution, but are each compatible across many ink types. Kennedy also cites Ricoh’s “robust stainless steel construction” that boosts reliability, even in the event of head or media clashes. Kennedy said: “Our localised technical expertise support our customers in accelerating development activities in order to meet critical time to market goals. Jetting optimisation, drop characterisation, material compatibility and waveform optimisation are just some of the important support functions that we help with. Casting the net wider still, Konica Minolta is another top digital print brand that is committed to evolving the market. Kan Igarshi, who heads up the company’s inkjet component business in Europe and America, said the manufacturer’s focus has always been on providing customers with a reliable, easy-to-use and robust technology. Igarshi expanded: “The printhead we supply to the market is mainly used for industrial work. ‘Industrial’ stands for any kind of application that is currently printed in conventional printing, or a totally different approach that is only achieved by inkjet technology. Igarshi said Konica Minolta has prepared a portfolio that enables customers to select the number of nozzles, droplet size, frequency and type of ink, and all of the heads can be used in the same drive electronics. The footprint of the head is also designed to be the same among each head type, which, according to Igarshi, allows customers to “evolve the printers performance in less development effort”. Konica Minolta recently moved to boost printhead development with the asset purchase of Panasonic Precision Device. Igarshi said this will grant the company the engineering knowledge, production facility, patents and know-how of Thin Film PZT technology. The message here is seemingly clear; printhead development is strong. The top brands in digital print are committing plenty of funds and resources to this sort of technology in order to advance their print solutions. This is only good news for those in the digital print market that are seeking ways to accelerate ahead of the competition and enhance their quality of their own output.